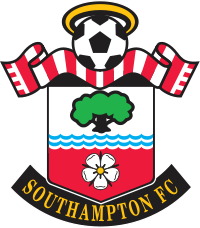 Southampton Football Club were formed in 1885 and are arguably one of the most historic clubs in English football. Right now their players are in the headlines as they line up to leave the club but the past few seasons, since their back-to-back promotions from League 1, they have made an impression on the Premier League. Southampton have a renowned academy and have had some famous managers but in fact started out from much humbler beginnings. Southampton is a city of immense historical significance to the United Kingdom. During the Middle Ages, the town of Southampton became a key home of shipbuilding and in 1620 was the port from which the Mayflower departed for America. The ship carried pilgrims who would settle across the pond and in the Victorian era this affiliation with the docks grew. 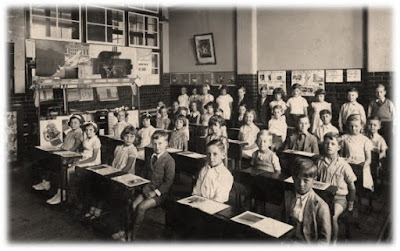 The town expanded rapidly and in 1912 the RMS Titanic left the port of Southampton, when the liner sank around a third of its passengers were Sotonians. The Nazis would target Southampton during World War Two due to its naval importance and finally in 1964, the Hampshire town would be granted city status. This affiliation with the seas explains the water seen on the crest, symbolising the thing Southampton is known for. It would be amongst this history that St. Mary’s Church would found a football club. Rev Arthur Baron Sole’s team folded and was re-founded on 21 November 1885 by the members of the St. Mary’s Church of England Young Men’s Association (St. Mary’s Y.M.A). This is where the nickname, the Saints, comes from and is a permanent memory of their humble beginnings. By 1888 they had become St. Mary’s FC before entering the Southern League Championship in 1894 as Southampton St. Mary’s. They dominated between 1897-1889 winning 3 seasons running and this continued into the beginning of the 20th century with further titles in 1901, 1903 & 1904. The success saw the demand for a stadium leading to the £10,000 development of The Dell ground, rented initially as the club struggled financially but home for the next 103 years. Form on the pitch continued to be good as Southampton became only the third club from outside the highest tier of English football to make the FA Cup final. This first came in 1900 but they would lose 4-0 to Bury, a fate they suffered once again in 1902 as they lost the replay to Sheffield Wednesday 2-1. Whilst they couldn't get the job done at Crystal Palace, the club had begun to make waves. Following The Great War Southampton joined the Football League and in 1921 were promoted to Division 2, a league they would remain in for 31 years. These were fairly steady seasons with 1922/1923 highlighting this. It would be named the “Even Season” as the team achieved 14 wins, draws and losses with a total of 42 points, an average of 1 per game. This was matched with an even goals for and goals against and the Saints finished mid-table. 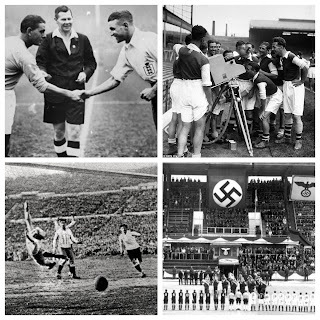 Perhaps the biggest drama coming in November 1940 when a bomb fell on The Dell’s pitch during German World War Two raids. This meant they would be forced to play home matches at Fratton Park, home of rivals Portsmouth. In 1949/50, there was despair as promotion to Division 1 was missed out on by goal average, a fate suffered the previous season as they missed out by a single point. During those seasons Charlie Wayman scored 56 of his 73 Southampton goals, these came in only 100 appearances and three years before he moved on to Preston North End. Unfortunately it would be the heartbreak of relegation in 1953 as the Saints dropped to Division 3 South. In 1960 they returned to Division 2 scoring 106 goals and 6 years later they would finally reach Division 1, Chivers netting 30 of the 85 goals. Manager Ted Bates brought in Welshman Ron Davies for a club record fee of £55,000, he would secure top goalscorer with 37 in 41 games and would share the award with Manchester United’s George Best the next season. In 1974 Division 1 brought in a new rule of 3-relegated, this would end Saints stay at the top, a spell that saw them qualify for Europe twice. 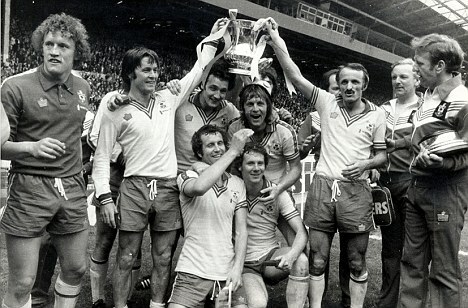 Southampton won their only ever FA Cup in 1976 when boss, Lawrie McMenemy, led his Saints to Wembley and the Division 2 side, in front of almost 100,000 fans saw off favourites Manchester United. The side boasted Chelsea legend Peter Osgood but it would be Portsmouth born Bobby Stokes who notched the 83rd minute winner, a moment engrained in Southampton history. By 1978 they were back in the top flight and in 1980 McMenemy brought 1978 & 1979 Ballon d’Or winner, Kevin Keegan, back to British soil. 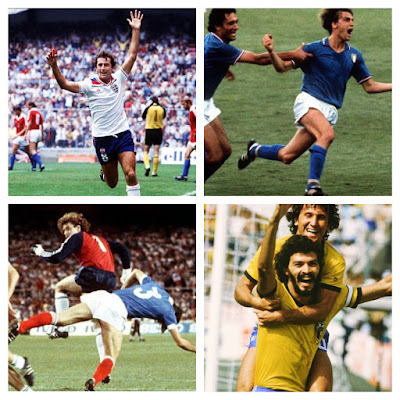 Keegan had been at German side Hamburg and the deal, worth £420,000, stunned football. Southampton had a strong side including Mick Channon who played 510 league games for the club and they scored 76 goals in 1980/81, finishing 6th. 1983/84 would be their best ever campaign, with Peter Shilton between the sticks and Steven Moran up front they would end as runners-up to the great Liverpool team of the 80s. Southampton would also lose out to the other Merseyside club in the FA Cup being knocked out in the Semi-Finals by Everton, meaning a double was so close yet so far. 1989-1992 saw a period where Southampton had a forward pairing of Matthew Le Tissier and Alan Shearer, both legends in their own right. Le Tissier played 443 league games for the Saints between 1986-2002 scoring 24 in 1989/90 and being named PFA Young Player of the Year. Shearer scored a hat-trick v Arsenal as a 17 year old debutant and before his £3.6m move to Blackburn in 1992 scored 23 goals for Southampton. Little did they know young Alan would go on to score 283 career league goals, 260 of those in the Premier League era. Whilst not causing a particular stir in the 1990s they could claim a 6-3 drubbing of Manchester United at The Dell in October 1996 thanks to hat-trick hero Egil Ostenstad, under the management of Graeme Souness. Southampton went from Souness to Dave Jones to Glenn Hoddle before Hoddle moved to Tottenham in 2001. With mediocre Premier League results continuing, Hoddle’s caretaker replacement Stuart Gray will be remembered for being the man at the helm when the Saints moved to their current ground St. Mary’s Stadium. For fans it was the Saints marching home as they said goodbye to The Dell and returned to the area by the nearby St Mary’s Church from which they were founded and the halo appears on their crest. Gordon Strachan would take the reigns in 2001 and by 2003 had guided Southampton to 8th in the Premiership as well as an FA Cup final in Cardiff. Whilst the side would lose the Saints 4th ever FA Cup final 1-0 to Arsenal this would be a highpoint for the years to come. A couple of managers later, chairman Rupert Lowe risked controversy by appointing newly resigned Portsmouth boss Harry Redknapp mid-season. Redknapp did what is his go-to philosophy and bought 5 players in the January transfer window but on 15 May 2005, they lost 2-1 to Manchester United on the last day of the season and were relegated in 20th place after 27 years in the top tier. Redknapp, ever the mercenary, would return to Portsmouth in December 2005. 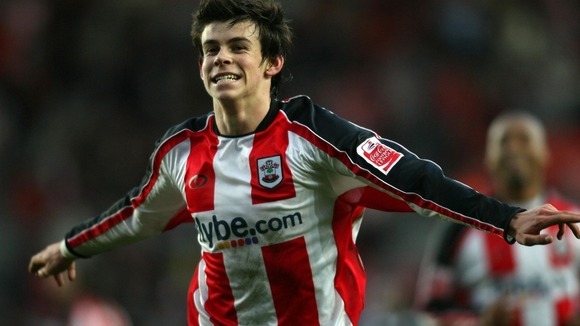 The next few years would be extremely rocky for the Saints, teetering on the edge of relegation at times, although they did make the playoffs in 2006/07 with a 17 year old Gareth Bale in the side. They lost to Derby County in the Semi-Finals and financial problems began to mount, this saw players sold to try and stabilise the issue, Gareth Bale joined Tottenham for £7m, Kenwyne Jones signed for Sunderland for £6m whilst Theo Walcott moved to Arsenal for £9m (after a later restructure of the deal). 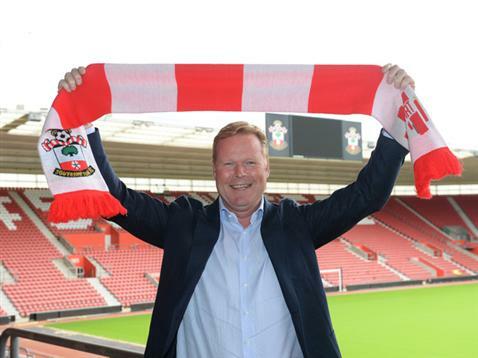 Following a succession of short term managers, Southampton would be relegated under Mark Wotte in 2008/09. They would start life in League 1 on -10 points after their parent company went into administration but Markus Liebherr took control of the club and impressively appointed Alan Pardew as manager. Funds were given to rebuild and alongside youngsters Adam Lallana and Morgan Schneiderlin, Southampton signed Rickie Lambert, Danny Seabourne, Jose Fonte, Jason Puncheon and Dean Hammond. They spent £3m but despite winning the Football League Trophy in March 2010 they could only finish 7th in the league. 2010 was the Saint’s 125 year centenary and to celebrate the kit was designed along the lines of St Mary’s YMA. The crest was revamped to suit and it’s time to discover what the other symbols are for. The white rose is the flower that appears on the crest of the city with the tree representing the New Forest that covers part of Southern England. The scarf in red and white in the traditional club’s colours adorn the logo to show the unity with the fans. For the centenary the logo was trimmed gold. The season was also special as it saw the So’ton re-promoted to the Championship. Owner Liebherr died in August 2010 but his successors chose Nigel Adkins to take the side forwards, he did so and they finished second with 92 points. Back in the Championship Jack Cork, Danny Fox and Jos Hooiveld added to Adkins’ squad, Southampton winning 6 of their first 7 games. By January 2012 they were looking good for back-to-back promotions with Billy Sharp’s arrival promising more firepower. Home form which had been solid began to fall slightly but as results came on the road and Lambert continued to net, 4 hat-tricks in all, the Premier League was within reach. A blow came on 13 April when the Saints lost 3-1 to Reading in a game that would decide the Championship title but on 28 April they saw off relegated Coventry 4-0 to return to the top flight. Rickie Lambert scored 31 goals, 27 in the league, and cleaned up with Southampton’s Player of the Season and Championship Player of the Season awards. Southampton broke their transfer record twice in the summer window with Jay Rodriguez’s signing for £7m trumped by the £12m acquisition of Gaston Ramirez. Another 6 players also joined but the initial first few months were difficult and results were hard to come by. In January 2013 though, the Saints owners took the controversial decision to sack Adkins and replace him with Mauricio Pochettino, a man who was fired by Espanyol in November 2012 with the side sitting in last place. This came 2 days after Adkins side had come back from 2-0 down at Stamford Bridge to draw with Chelsea. However, Pochettino had a good impact and secured a 14th place finish by May. Last summer Southampton continued to spend, Victor Wanyama, Dani Osvaldo and Dejan Lovren some notable recruitments. We all know how Pochettino’s men continued to impressive with his brand of high pressing, attacking, possession football. So’ton finished 8th with 56 points and won many admirers but this came at a cost. With Luke Shaw joining Manchester United and Rickie Lambert and Adam Lallana, who had been with the club since their League 1 days, joining Liverpool. Dejan Lovren and Morgan Schneiderlin look set to follow them through the exit but perhaps the most significant loss will be that of Pochettino himself. He was snapped up by Tottenham and has been replaced by Ronald Koeman. With the squad thin on the ground and many millions to spend, Koeman has work to do to ensure it isn't a season of Saints heartbreak. It says Chairman Sid Lowe installed Harry Redknapp as Manager, but it was Rupert Lowe. It's the white rose of Hampshire (damned Tudors) and the water would be the Test and the Itchen, the two rivers flowing into Southampton Water near the city centre. Although it looks kind of old, it was designed by a fan in the 1970's.